From classic pesto sauce to chicken cacciatore, there are a multitude of ways to cook with basil. There are more than 60 varieties of basil providing a diverse selection of tastes and fragrances that can be matched to almost any dish. Fortunately this popular and useful member of the mint family is also one of the easiest herbs to grow and maintain. Whether grown indoors or out in the garden, the care of basil plants is essentially the same. Plant your basil in well drained, organically rich soil. These plants love water but do not like to stand in it. Containers can be filled with sterile potting soil blended with an equal amount of either peat moss or well-aged compost. If planted in the garden, make sure there is adequate drainage by mounding the soil up above ground level and adding some compost. Basil prefers a sunny location that offers some protection from the wind. Water the plants to keep the soil moist but not saturated. 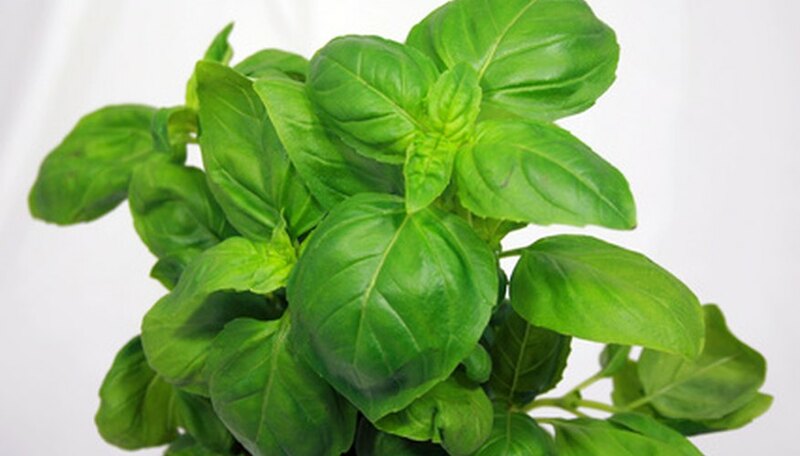 Basil needs about an inch of water per week and outdoor plants should be watered when rainfall is insufficient. Fertilizer is not needed if the soil has enough organic material. Add small amounts of aged compost regularly to keep the soil enriched. Remove flower stems to allow the basil plant to produce more foliage. The flowers are fragrant and beautifu,l but the leaves contain most of the essential oils and are therefore the key ingredient for cooking. Harvest for kitchen use by removing the entire stem from just above the lowest set of leaves. This will force the growth of new branches, forcing the plant to fill out and become more productive. Check your basil plants often for signs of aphids or Japanese beetles. Aphids are easily dislodged with a spray of water. The beetles can be removed by wiping the plants with water and a bit of dish soap. Growing other herbs such cilantro and dill nearby should attract ladybugs which are efficient at devouring many nuisance insects. Planting basil in containers makes it easy to move the plants outdoors in the spring and back inside when temperatures drop. This ensures a year round supply of fresh basil.